Just one day after Joss Whedon was announced as the Batgirl writer-director back in late March, a rumor surfaced that claimed The 100 star Lindsey Morgan may have already landed the role, but that was never confirmed. Today we have a new rumor which claims that there are nine young actresses in contention for the role, although Lindsey Morgan was not mentioned on this list. It seems that there may be an announcement happening at Comic-Con, but this report has yet to be confirmed by Warner Bros. Here's what a Reddit user had to say about this Batgirl short list. "A friend of mine was recently contacted by WB to work on concept art for the upcoming Batgirl film. WB wants to get an actress signed by SDCC so they can make an surprise announcement on stage during their presentation. I spoke with him a couple days ago and he said that these are the actresses he was asked to develop concept art for. He won't tell me why but he believes Langford is currently the frontrunner with Fanning, Levy & Qualley behind." These actresses mentioned by Reddit user "DCEUThrowaway89" fall in line with Joss Whedon's comments from April, when he revealed that he wants an "unknown actress" to portray Batgirl, but he didn't mention any specific actresses. While Bella Thorne and Emma Roberts certainly aren't "unknown actresses," the rest are certainly up and comers, although we'll have to wait and see who comes out on top and lands this role. If this report is true and Warner Bros. does want to make an announcement at Comic-Con, it seems unlikely that Joss Whedon himself will be there, since he is finishing production on Justice League, after taking over for Zack Snyder who left to be with his family after his daughter committed suicide. While know production schedule was revealed for this Batgirl movie, producers Zack Snyder and Deborah Snyder revealed that it will happen before Wonder Woman 2, with Batgirl said to be the next DCEU female superhero movie. It isn't known how far along Joss Whedon is on the actual Batgirl screenplay, especially since he has taken over on Justice League, which is likely keeping the filmmaker very busy at the moment. Still, if this Batgirl project is in fact the next female DCEU movie, then perhaps the filmmaker is working on the script in his downtime from Justice League, but that has yet to be confirmed. Of course, Joss Whedon is best known for his work in the Marvel Cinematic Universe, directing The Avengers and Avengers: Age of Ultron, before parting ways with the MCU after the second Avengers film. Marvel Studios president Kevin Feige revealed that Joss Whedon did call him and give him a heads up that he was taking on this DC project, revealing that Marvel was supportive of the director taking on this DC movie. 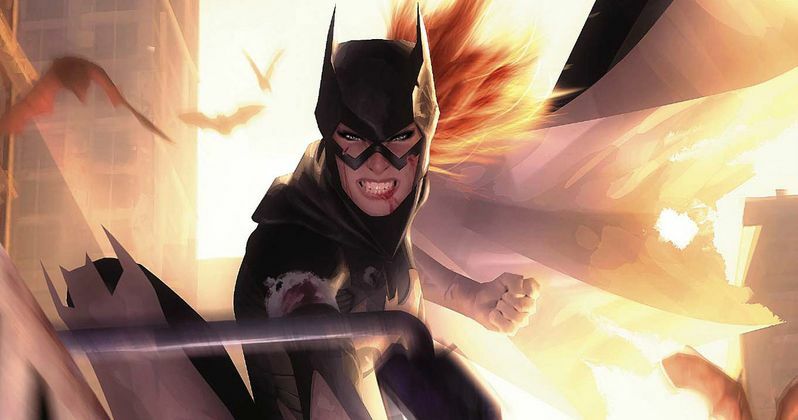 Warner Bros. has yet to announce a release date for Batgirl, but it's possible that may happen at Comic-Con, along with the announcement of the lead actress.